Modi also garlanded the statue of freedom fighter Pandit Madan Mohan Malaviya, who was also the founder of the BHU. 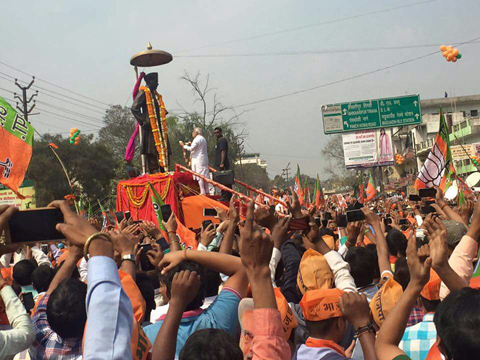 Varanasi: Prime Minister Narendra Modi concluded his massive road show by offering prayers at the Kaal Bhairav temple here. 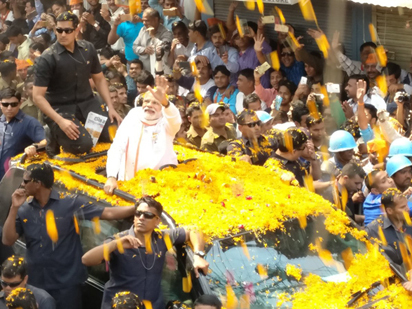 The Prime Minister's road show, which started at the main gate of the Banaras Hindu University (BHU), met with a horde of people shouting slogans in his praise. Men and women were dressed in saffron,ahiglighting the primary colour of the Bharatiya Janata Party's (BJP) flag. 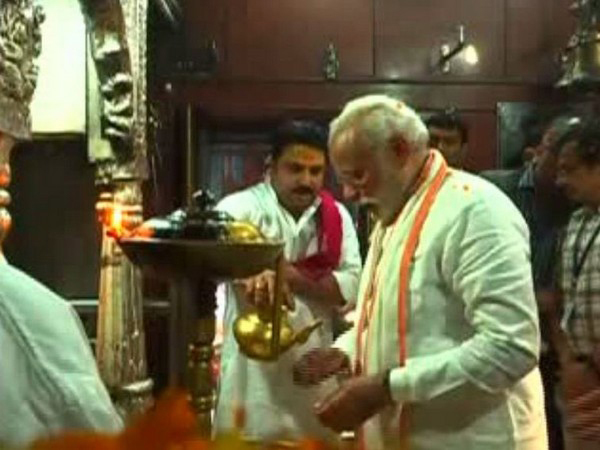 On his way, Prime Minister Modi also offered prayers at the Kashi Vishwanath temple. The Prime Minister will address public meetings both in Varanasi and Jaunpur ahead of the seventh-phase of Uttar Pradesh Assembly elections. Uttar Pradesh Chief Minister Akhilesh Yadav and Congress vice-president Rahul Gandhi will also hold a joint road show later in the day here. The seventh-phase of Assembly polls is scheduled to take place on March 8, in which as many as 46 constituencies covering seven districts of Uttar Pradesh will cast their vote.